I know some of you were interested in original customized views created by me in FM 2015. And I promised to share them in this blog. So there are two packs containing 9 views. All of them are very helpful for me in Dream Job story. Hope you'll enjoy importing them. TFM Stats. Shows much wider set of the most helpful stats. Used for in-depth squad analysis and player comparison. TFM Contracts. Used for payroll budget analysis. The first season managing Braganca became a successful one. I managed to get into promotion playoff has having quite weak squad and 5000 bet coefficient of title win. In fact Braganca was the 4th team of 80 in Portuguese National Championship. That was a merit of used tactical approach, and I am ready to share it with you just right now. Playing Football Manager is better and more authentic if you download and install some additional graphics: player faces, club logos, team kits. It make our favorite game more vivid, realistic and bright. This article is created to help out those who are interested in the best FM 2015 graphics or merely don't know how to set it up correctly. Here are my choices for Football Manager 2015 used in Dream Job story. But let’s try to to understand what differences my backup tactics have from already published counter-attacking one. First of all sorry for the delay in blog updates, I travelled to home town where I had no good Internet connection. Not long ago I published my custom squad views used in Dresden story which have already been downloaded by more than 400 people so far. So today I would like to continue sharing customised views I created in Football Manager 2014. I’m sure some of you will be glad to see such kind of FM content. This time it’s all about Player Search screen which is certainly one of the most significant in the Game. Straight player search with different filters. Frequently used by me to find transfer/loan listed or value free player. View and analyse player shortlist. By the way, my current shortlist as a head coach of Dresden contains 727 footballers! Going to share my customized views today. That’s one of new features appeared in Football Manager few years ago that makes me happy. So now I can’t imagine FM 2014 without customized views. This screen is most visited by any FM gamer. You have full access to the list of first team players can view and sort it in any possible way due to available customization. Currently I have three customized view there. My default one is called TFM Squad view. It allows to follow the most important player stats while selecting squad for a next match. Especially I like to follow Key Passes/Headers/Tackles and percentage ratios per each action. At the height of the season 2 I am glad to share my FM 2014 tactics used for Dynamo Dresden. I cannot boast with some great results so far but think this tactic works pretty fine and could only need a couple of small adjustments. By the way, it would be nice if you suggest me any creative minds in the comments. Today I’d like to present another great piece of work from SortItOutsi team – FM 2014 Kits! This is the thing I can’t already live without managing Dynamo Dresden. Love their yellow t-shirts with black stripes! SortItOutsi kits can be downloaded from original site. However, here we have a problem: graphic files are not grouped into one megapack and one has to download multiple kits for different leagues and joining files together. I decided to resolve this issue for you. Download megapack file. It’s size is 490MB. Unpack the download archive file via WinZip, 7-Zip, or WinRar. If you don’t see Graphics subfolder, just create it. Go to FM 2014 Preferences, click Interface . Turn off “Use caching to decrease page loading times” setting. Turn on “Reload skin when confirming changes in Preferences” setting. Hope you’ll enjoy using the kits! So awaited FM 2014 wonderkids from me today! My blog is well known for creation of convenient player listing that began in 2007. Since that time other FM sites started to be copycats making something similar to my list. But every year my new list get new original features that other sites have no. That’s probably why my last year FM 13 list got more than 5 millions of views and became the most popular page of the blog. So here is my gift to you dedicated to recent Football Manager 2014 release is a list of FM 2014 wonderkids and talents. It was created with love and passion, and I believe it should be helpful for many of you. 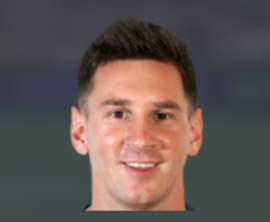 If you play Football Manager 2014 without special facepack, you are missing a lot. It’s really pleasant to see faces of players and staff when you enter their profiles in the game. So if you have not installed any FM 2014 facepack this short guide is just right for you! Well, it’s my favourite one. I use it from year to year with a huge pleasure. This year’s version includes more than 134,000 faces of players and staff members. I do believe SortItOutsi site team should be thanked for their hard work. Download large facepack file. It weights 6 GB. Unpack the download archive file via WinZip, 7-Zip, or WinRar ignoring warning messages. If you don’t see Graphics subfolder, just create it manually. Go to FM 2014 Preferences –> Interface. Untick “Use caching to decrease page loading times” setting. Enable “Reload skin when confirming changes in Preferences” setting. In case if you encounter any problem during installation process, you may either write me here in the comments below or even better ask regarding your problem the facepack creators directly at the official help and support forum. So you should be able to download it and open with Football Manager 2013. In this way you can continue Forest story. I will be very glad if anyone of you write a report about squad changes and results in season 10 somehow. Blogging is highly welcomed, though it can a simple forum post as well. If you blog or at least post some screens at any FM forum and notify me, I will mention your efforts right here in the blog. Hope you’ll enjoy managing Nottingham Forest as I have been enjoying! I don’t know how you but I always use 2 most important graphics extensions for Football Manager 2013: Faces and Logos. Especially the former. It’s much more pleasant to play the game when you see faces of players and staff members entering their profiles. Thus I decided to create the article helping to install facepack and logopack in Football Manager 2013 for those who need help. Let me advice you Cut Out Faces Megapack for FM 2013! It contains more than 110,000 faces of players and staff. All of us should thank SortItOutsi site team who did their best creating this amazing photo collection. I know here are other Football Manager bloggers among my blog readers. Therefore I am happy to present my first ebook about Football Manager. Actually, as you understood it’s about efficient and joyful FM blogging. Any feedback is welcomed in the comments below! Need a good FM 2013 tactics? Here I have an original tactical approach which includes 3 efficient Football Manager 2013 tactics. Check it out! 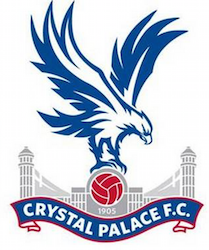 If you play FM 13, I strongly advise to download Football Manager 2013 Logos. It will make you game more pretty. There are two finest Football Manager 2012 logo packs created by different fans of the Game. I want you to knowabout them, if you still don’t know, because such efforts are worth of it. 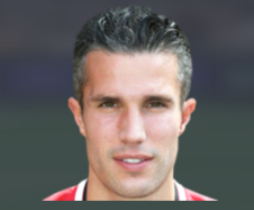 I would like to thank every Football Manager 2012 logos creator with this post. It’s my favourite Football Manager 2012 logos from Sortitoutsi community. I am using it in my Q.P.R. game. Nicely styled logos that will fit into any skin hosted on FM-Base.co.uk. How to install Football Manager 2012 logos? Unpack downloaded archive file with logos. Move its unpacked files to folder “graphics\logos” subfolder of Football Manager 2012 “user data” folder (if “graphics” folder doesn’t exist then create it manually). 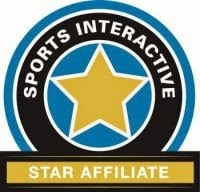 After all I have a folder "C:\Users\Rayden\Documents\Sports Interactive\Football Manager 2012\graphics\logos". This is where unpacked folder with logos will be located. ‘Rayden’ is my username in Windows 7. Hope you will like these FM 2012 logo packs! First of all I want you to know I am working over Q.P.R. squad revolution post. The transfer campaign is completed. I am happy with its results… You will be able to read the post on Tuesday when it will be ready. The best thing about this way of sharing is that any user can ‘like’ your, let’s say, tactics moving it higher in the rankings. By means of this function the best FM content will go up to the first ranking positions. It will help all Football Manager fans to see what tactics/trainings are the most valuable and should be downloaded at first! Another captivating idea put in FM Share rankings is that you can compete with other FM gamers uploading your tactics/trainings/shortlist/tip. FM Share was started 2 weeks ago, therefore its highest ranked tip, for instance, has only 6 likes. For a while you don’t need many like to get to Top 3 in any of 4 categories (trainings, tips & hints, tactics, shortlists). I think its a good opportunity to upload some FM content you are proud of, for example, your tactics. I wish you to become the first at very beginning! Yesterday I uploaded my Football Manager 2012 training schedules to FM Crowd. And now it’s time for some kind of review for the schedules which I have been using in my Q.P.R. story. Share the schedules with your friends! They'll be happy! - Rotate your players to avoid overworking. It can also help in keeping high Morale level. - Rarely buy players with high injury proneness reported by scouts. If I buy such kind of a player, then he has a special weakened schedule. - Players who complain about heavy workload should be also move to easier trainings. - All my FM 2012 training schedules are named by position: DC, AMRL, AMC, MC, DMC, DRL, SC. I think schedules names are self-explanatory. 2. In Football Manager 2012 go to Team > Training > Schedules. Click Manage Schedules… button, click Import. Read the awesome training masterclass! Last but not least, learn more about trainings and player development in Football Manager 2012 reading a brilliant masterclass from Mantralux. It will definitely increase your level of FM 2012 understanding . If you are searching for FM 2013 tactics, please take a look at Football Manager 2013 tactics used in Nottingham Forest story. Share the tactics with your friends! They'll be happy! As a result I got very attractive attacking style of football produced by my Q.P.R. I am really proud of it! My formation is 4-2-1-2-1. I use it at first in all Football Manager versions I ever played. Well, let’s consider some important principles of Supersonics tactical formation. At first sight the formation seems fairly defensive because of 6 players below centre of midfield. But actually it’s attacking formation due full backs overlapping wingers and forcing flank attacks much. As a result each of flanks has 2 players hugging the line and trying to make a cross to the striker with Poacher role. Left back joins attack more often than right back. I made this change increasing Mentality slider manually. The reason of that - I have two quick attacking left backs Traore and Digne. 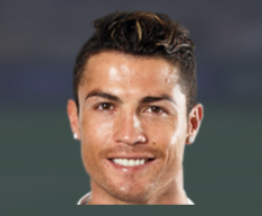 You can also see 2 asymmetric defensive midfielders. DMLC has Anchor Man role what compensates more attacking style of a left back. DMLC covers area of a left back. Meanwhile DMRC works closer to central midfielder because right back run away from position not so often. 1. Pass to a left winger. 2. Pass to a right winger. 3. Pass to a forward. 4. Dribble forward distracting opponent’s defensive players and making more spaces for passes. Poacher striker should very fast and have a great composure to score one-on-one goal moments. It’s also useful if he is good in air winning headers coming from wingers. Though Crossing instruction can be changed to Drill Crosses in case if you striker is of very low height. Certainly high Stamina and Work Rate are must. The high defensive line is good for taking away the ball earlier when opponent’s player is not close to your goalie. But sometimes it may happen that quicker striker overtakes a DC and only a goalkeeper can run and take away the ball. It’s the same as Victor Valdes acts in Barcelona. The role of Sweeper keeper demands high Pace, Acceleration and Rushing Out. So please take a look at these attributes at first if you are going to use Supersonic tactics. Defensive high line means you should get fast central and wing backs. It’s compulsory! As usually you should also pay attention also to Player Roles. Every role has distinct requirements. Here are some touchline shouts I use with this tactics in different cases. - shout to Hassle Opponents. If referee is not strict, use also Get Stuck In shout. - set Control strategy + Push Higher Up shout. - set Attacking strategy + Get Ball Forward shout + Work Ball Into Box shout. - find the most weak players in opponent’s formation. Flanks or middle? Set Exploit The Flanks or Exploit The Middle then. It will help your playmaker to decided better attacking direction. - set Contain strategy + Pass into Feet + Retain Possession + Play Narrower In the very end of the match you can make a Play Even Safer shout. - set Counter Attack strategy. - use Drop Deeper shout. - Counter Attack strategy is must! It works very well with Supersonic tactic! - You can add to the strategy these 2 shouts: Pass into Space + Exploit The Flanks. FM 2010. Leeds United was based on normal tempo. And only FM 2010. Northern Ireland tactics had been a slightly quick. But it was nothing if we compare it with my current maximally quick tempo! What do you think about my FM 2012 tactics? I hope you will find helpful my Football Manager 2012 tactics because it’s one of the best I’ve ever created! It would be great to see your comments about it. I know some of you can even help me to improve the tactics. So I am ready for you comments! Football Manager 2013 facepack is already available for free. More than 110,000 faces of players and staff members. - It’s a megapack with cut-out faces of players and coaches. - It contains more than 92000 faces! - The facepack is created by SortItOutsi.net. I would like to thank them much! Guys, you are doing a great work! Share the facepack with your friends! They'll be happy! How to install Football Manager 2012 facepack? Move its unpacked files to folder “graphics” subfolder of Football Manager 2012 “user data” folder (if “graphics” folder doesn’t exist then create it manually). After all I have a folder "C:\Users\Rayden\Documents\Sports Interactive\Football Manager 2012\graphics\". This is where unpacked folder with facepack is located. ‘Rayden’ is my username in Windows 7. So I hope you’ll be also fond of using this great Football Manager 2012 facepack as well as me! Do you play FM 2014? Then try out my list of Football Manager 2014 Free Players! Here is my list of free players in Football Manager 2012. I am posting it one day before the official FM 2012 release. And I hope it will help you to get some decent players for free in the very start of your game. - It contains around 120 best free players in FM 12. - All players are grouped by positions (GK, DMC, DL, etc.). - Every position group consists of 3 quality subgroups: Very Good, Good, Decent. As you understand the subgroups correspond to a relative player level. - Shortlist file is included (you can find a link at the bottom). IMPORTANT NOTE: The list is opened for any changes. Surely I missed good free players. So you are welcomed to remind me about them in the comments. I will appreciate your help! Share the list with your friends! They'll be happy! Hope you’ll like my Football Manager 2012 free players list!